Brisbane curator, Lani Pauli, interviews Jessie Roberts. 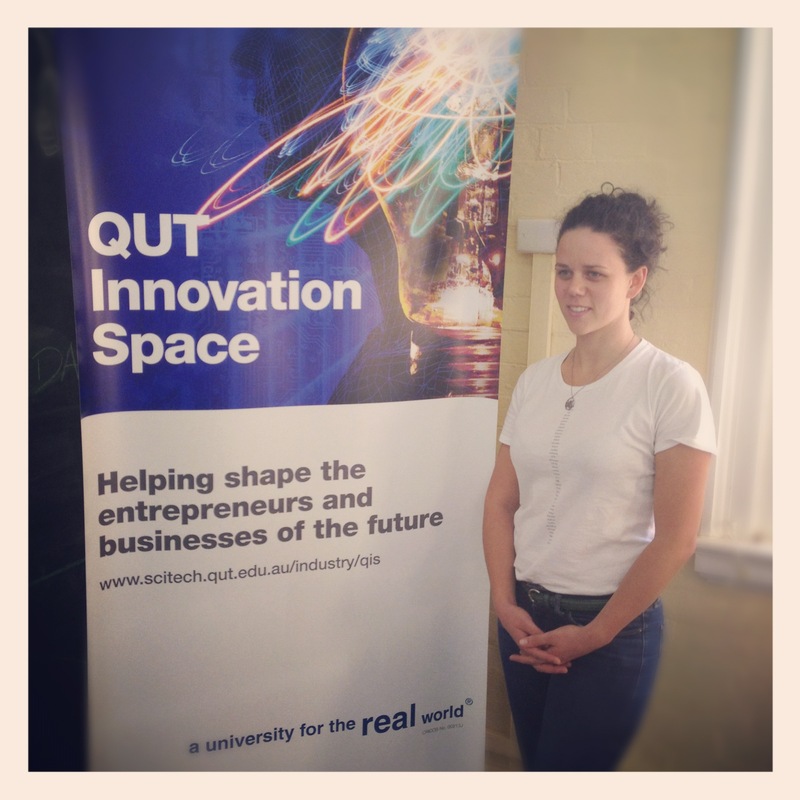 Jessie leads the program development of the QUT Innovation Space. Tell us more about QIS? The QUT innovation Space (QIS) is about animating ideas. We aim to foster a community and culture of big-thinkers, innovators and entrepreneurs. We provide a support network and learning platform for people with big thoughts and a passion for action and change. The QUT Innovation Space is located at the QUT Gardens Point campus and we deliver events, mentorship and community. Our events run through out semester and are either designed to be educational, inspirational or network orientated. We have a community of professional partners that provide support to our members, including a marketing strategist, IP Attorney, Start-up and project management coach. partners that provide advice Our doors are open to anyone with a curious mind, from any faculty, industry or age group. Who do you think is doing cool stuff in our industries? River City Labs (Co-working space), The Edge, MIT – Opencourseware (education… awesome & Free! ), SEED MAGAZINE (Science + Design + Culture). What’s the hardest challenge you’ve had to face work-wise? Define what I “do”, what my job title is or the professional ‘box’ that I fit into. I still ‘um’ and ‘ar’ at parties when someone asks “So, what do you do?”. What’s the biggest opportunity and challenge for Brisbane to become a truly “Creative City”? 1. Connection – There are a lot of creative and amazing things/people/projects happening in Brisbane. There is definitely room for more connection between these people and projects. I think Brisbane has so many sparks just waiting to connect with the right person in order to turn into flame. 2. Play – Creativity comes from play and generosity. We are a fun group of people….. Spaces and Hubs. The emergence of co-working spaces (and places like The Edge) in Brisbane really help to foster a community (or communities) of like-minded creative thinkers. These spaces provide a platform for people to meet and cross paths, to fertalise ideas, conversations to occur. What are some local upcoming events you recommend? Continuing to build and develop our mentor program and consultants that support our members. Now that our events program is running smoothly, we are focusing our energy on further developing our mentor program.